The Oregon Association of Nurseries (OAN) is a non-profit trade association that represents more than 1,300 individual nursery stock producers, retailers, landscapers and related companies serving the nursery and greenhouse industry. The OAN is the main voice for Oregon’s nursery and greenhouse producers, re-sellers, transporters, retailers and suppliers. 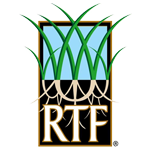 Turfgrass Producers International is a non-profit trade association that represents the voice of the turfgrass sod industry. TPI’s 1,000+ membership includes turfgrass sod producers, suppliers, manufacturers, landscape contractors, educators, students and industry associates throughout the world. Since 1967, TPI has been committed to promoting and encouraging the use of turfgrass sod. The Lawn Institute was created as a not-for-profit corporation to assist in and encourage through research and education the improvement of lawns and sports turf. Since then, the Institute has been one of the most respected authorities in North America among turf professionals and scientists for monitoring, reporting, and interpreting the latest advances in turfgrass research, landscape horticulture, and agronomic science. Washington Association of Landscape Professionals (WALP) is a non-profit organization of landscape professionals dedicated to providing opportunities that promote professionalism, integrity, and education to a thriving membership within the Green Industry and the communities served. Oregon Landscape Contractors Association (OLCA) is a not-for-profit statewide professional organization that advocates for the landscape industry on local, state and national issues affecting both the profession and the world we live in. OLCA functions through the active volunteer work of our membership. The Association Of Professional Landscape Designers, APLD (Oregon Chapter), is an international non-profit organization dedicated to establishing the highest standards for the landscape design profession.